The son of former Dutch international Patrick Kluivert, Justin Kluivert, has spoken to ESPN about Barcelona's signing of Frenke de Jong. Justin Kluivert sobre el fichaje de De Jong: "Es un fichaje de ensueño"
Kluivert seems happy for his compatriot and former Ajax teammate: "Unbelievable. It's a dream transfer. He loves playing football, he only wants to play football and that's what Barca is." 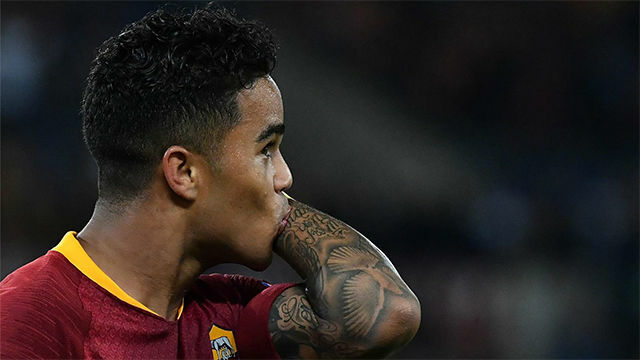 In the same interview, the now Roma forward declared he sees himself as one of the players capable of turning around his country's fortunes on the international stage, along with De Jong, Matthijs de Light and Steven Bergwijn. "I think it's growing," Kluivert added. "It wasn't so good for a while because the good players from back in the day stopped [coming through] and then [the next generation] were developing. Now you see the young boys are coming up. They're getting older, 21 years old like Frenkie and Mathijs, 18, 19, [PSV's] Bergwijn, if I can add myself. "Those guys are coming up, we're getting older and we're getting better, and you see the Dutch team is now coming back ... I think we can come very far for sure." Also speaking to ESPN, Patrick Kluivert, a former Barça striker, backed De Jong's move to Camp Nou. "When he received the ball he always knew where to play the ball. He always looks at vertical passes towards other midfielders or strikers. Also, when he has the ball at his feet and has space, he's very quick in vertical runs. I think it's a great signing for Barcelona and he will let Barcelona fans really enjoy the way Barcelona loves to play. He's the perfect player to join in."